Reading – an update… plus that T-word again…. However, for some reason I found myself struggling to engage. I’m still not sure why, but I ended up putting this version down and picking up the McDuff, and I’m currently sailing through that and absolutely loving it. It obviously has nothing to do with the physical book, because the Oxford is lovely with clear type and nice big white pages; the McDuff Penguin is a larger format and also quite readable but probably less so than the Oxford. It’s hard to put my finger exactly on why I wasn’t gelling with the Oxford, but the best I can say is that it read too smoothly. 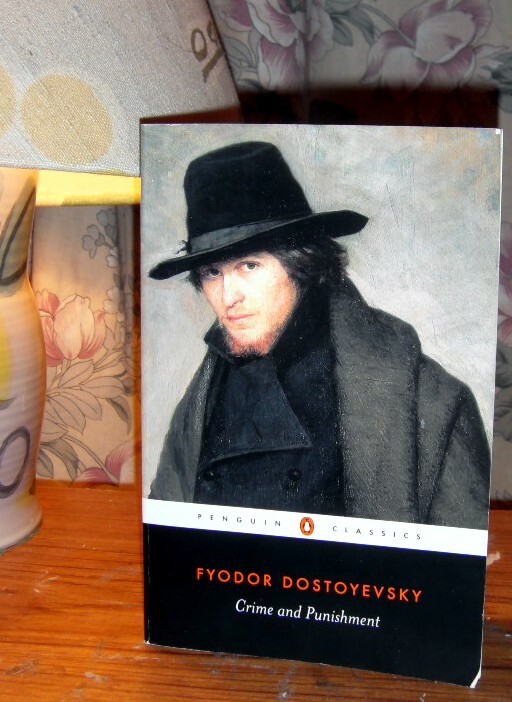 I expect to anticipate a kind of nervous energy in Dostoevsky, and I didn’t feel that here. McDuff also translated the version of Brothers Karamazov I read, and I found that version resonated with me too. So obviously, as I’m continuing with the version that speaks to me I shall keep on reading the Penguin McDuff – though having two sets of notes and supporting material to refer to is quite a bonus! I confess I’m a little disappointed that the Oxford version didn’t work for me, though it will no doubt be ideal for other readers. And I’m keen to read one of these lovely books, so maybe I should step out of Russia for a read soon, and try to read one of Austen’s great works during the centenary year of her death. finding a copy of the David McDuff translation of “Crime and Punishment” in a charity shop for 95p…. ….. particularly when you’ve been putting off sending for a copy for ages! !